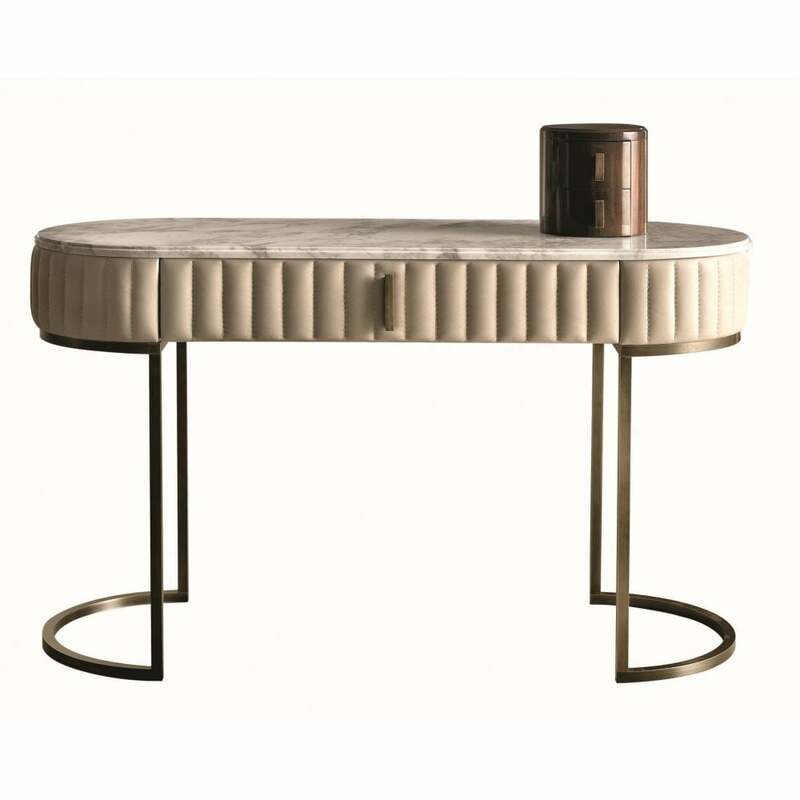 Embrace the modern style cues of the Daytona range from Signorini & Coco with the luxury materials of the Jack desk. Modern minimalism of the linear burnished brass base extends upwards to a padded upholstered surround housing a luxury marble surface for an ultra-luxury look. The elegant model features a single drawer, hidden behind the padded leather. Style in your home office with other pieces from the Daytona range for a chic, contemporary finish. The desk is available in a number of finishes to complement your living space including fabric, leather or nubuck leather in a variety of colours.